Social media is the marketing tool of our generation. 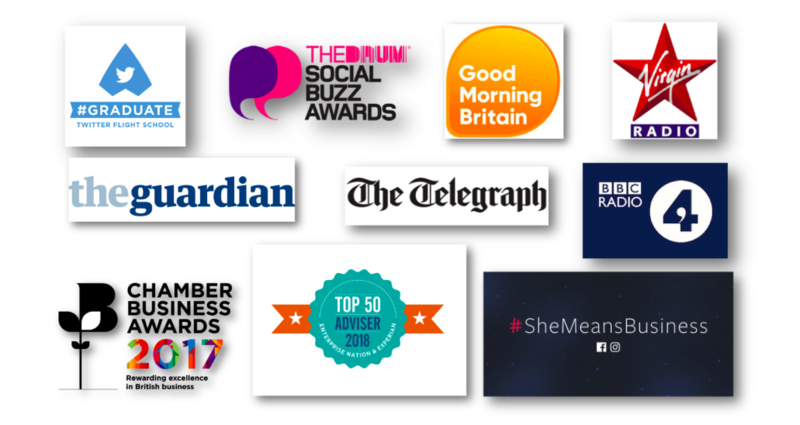 We’re an award-winning specialist agency helping business like yours capitalise on platforms like Facebook, Twitter, LinkedIn and Instagram. We’re a passionate bunch of social media managers and our expertise has spanned the UK as well as the East Midlands including businesses in Nottingham. Social media management is all about you and your business. Social media should be a great value marketing tool that not only increases brand awareness but develops sales, leads and tangible return on investment. Having a strong and relevant presence across the full range of social media platforms has become expected of the modern business and effective social media management is paramount to your success. We create and distribute your social content across all relevant networks including Facebook, Twitter and Instagram etc. You need a team you can trust – people that listen to your needs as well as having a great track record in delivering tangible results. There is no ‘one-size-fits-all’ approach to social media marketing which is why everything we do is bespoke. Effective social media management requires JC Social Media to understand your business inside-out to enable us to fully appreciate your brand and its goals. We specialise in adopting the tone and voice of your brand; whether that’s creating a whole new brand identity or adopting and enhancing your existing one. We create a bespoke strategy for your business and its goals as well as providing a clear blueprint for how we’ll do it and how we’ll measure the success. If needed, we then set up and optimise all the required platforms as this provides the foundation of all successful social media marketing campaigns. Whether you’re based in Nottingham or other parts of Nottinghamshire, our social media management services allow you to focus on your business whilst we get on with what we’re good at – social media. We will work alongside you to optimise your input in our work; all depending on what is needed and your preferences. Our expertise and experience in utilising social media for businesses in Nottingham and across the East Midlands means we are effective in building a social influence over your target audience. We help turn this interest into sales and leads to provide you with the highest possible return on investment based on your personal goals. Our approach will always be tailored to your wants and needs. With highly specialised analytical software we can provide you with regular feedback on how everything is going and make continual improvements to our online operations; we’re so confident we’ll deliver tangible results we’ve even developed our own reporting software, exclusive to JC Social Media! Through the continuation of our management contracts we see the growth of our clients’ online presence and the business as a whole and we look forward to the challenge of making a success of every new business we represent. …as well as blogging and supporting email campaigns. It is crucial that activity across each platform is direct, highly targeted, engaging and consistent – this is where we come in! Need to know more about our social media management for businesses based in the East Midlands? Contact us to see how we can help you achieve your social media goals! 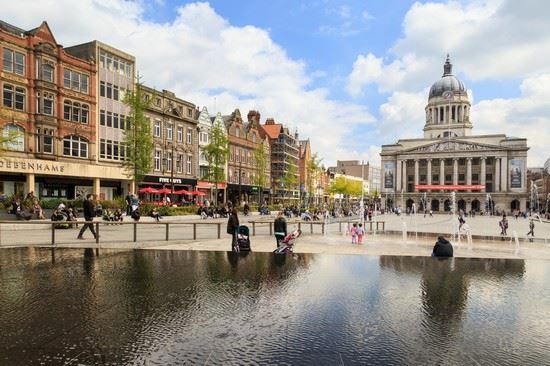 The East Midlands is a fascinating area of the UK and is home to some of the most vibrant cities the country has to offer as well as an international airport. Nottingham is home to a rich history, great sporting prowess and blue-chip businesses like Boots.